We have 500 followers now! 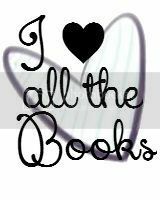 Thanks for following our blog, commenting, allowing us to get to know you better and sharing in our love for chick lit! Got this from Mandy Baggot because I won it from the Love a Happy Ending launch competition. The title makes me think of the ABBA song. Mandy will be visiting CLC in October! If you live in the US or Canada, you still have a chance to win this book from us. Enter by Sunday at midnight EST. Last night, I attended an event in Georgetown, at BCBG MaxAzria. It was to check out the store's fall clothing line and meet two chick lit novelists from the DC area (From left to right in the picture, Sarah Pekkanen and Beth Harbison) while snacking on chocolate and drinking champagne. Originally, they wanted us to buy tickets to attend the event. These tickets were $25 each, but there was the promise of a swag bag worth $175. I bought a ticket and then received an e-mail that the host of the event was unable to make it and wouldn't be bringing the swag bags, but all ticket buyers would get a refund. And I am so glad I am getting that refund. While it was great to chat with Sarah Pekkanen again and finally have her sign my copy of "Skipping a Beat" and while it was nice to meet Beth Harbison for the first time and have her sign my copies of "Shoe Addicts Anonymous," the event was not worth $25. First of all, there was no semblance of organization to the event. The people working at the store didn't even seem to know what was going on and made us feel like we were invading on their territory. I was also under the impression that the authors would be doing a speech or presentation, but it was just a lot of casual mingling. No one provided copies of the books for the authors to sell and sign, so Sarah went to Barnes and Noble and bought a few copies of Beth's latest book to have available. While it was nice that they had the champagne and (Godiva) chocolates they promised, they also served little desserts from Target (or a grocery store), even though Georgetown Cupcakes was down the street! I found the desserts to be amusing more than anything else, again validating why I'm glad I got the refund. When I got home, I found out that the host will be sending swag bags to people who bought tickets, just for showing interest. If that happens, I will gladly tell you about what is in them. The positives of this event were that I wasn't stuck in the city for a long amount of time, given that I don't like to go home late on the train. The casualness of the event allowed me to talk to whomever I wanted, get some pictures and leave. Aside from Beth and Sarah, I also got to meet two other really cool women. First I met Dana Bate, who will be publishing a book next spring. Her book will definitely be a hit amongst foodies and chick lit fans, based on what she described. (There are also elements of Judaism, which scores brownie points for me.) She is very nice and I enjoyed talking with her about books and other topics. (And I will figure out why she looks so familiar if it takes me all year!) Next, I met Kristin Durham, a.k.a. Kritter. 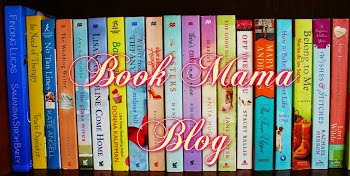 She has a great blog called Kritters Ramblings, where she reviews a lot of books (mostly chick lit). She is very nice, as is her mom (who was also at the event). She opened my eyes to the diverse amount of tastes in books out there. What works for one reader doesn't always work for another, which is why we present such a variety of books here at CLC. Finally, I confirmed for myself once again why I love living in DC. After the event, I was walking to get back to my train and there was such a "laid back" feeling in the atmosphere. The city is beautiful and historic in so many ways and I'm proud to be associated with it for almost two years now! In the future, if someone wants to host a chick lit event in a specific city, they should invite all chick lit authors in or around that city. They should also allow time and space for the authors to talk about themselves and their books or even to have a panel where people can do a question and answer session. They should also do it in a bookstore where there is more space allotted for such events. This type of event didn't have the same kind of feel in a clothes store. Even a shoe store would be more fitting since Beth wrote some books about shoes. With the lovely literary ladies from DC! Today, Daphne Uviller has stopped by CLC to talk a bit about her latest book "Hotel No-Tell". 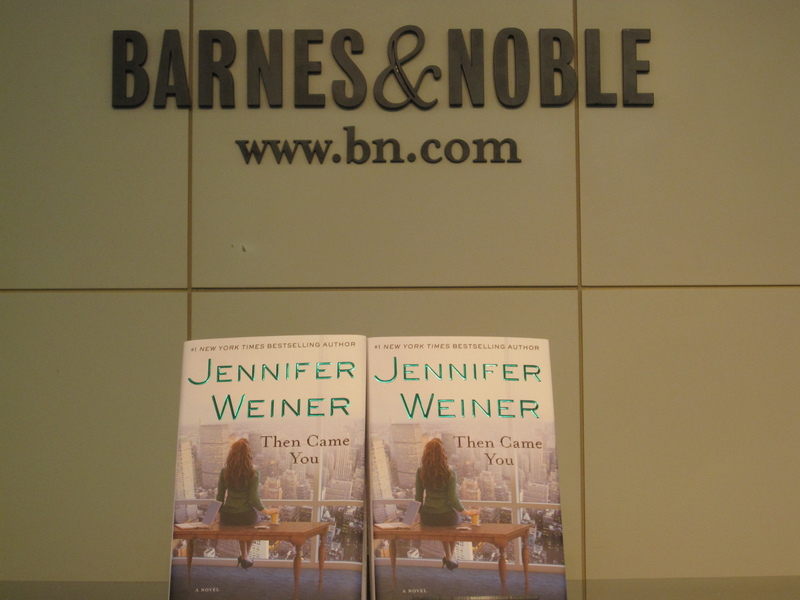 Daphne used to work for a New York City law enforcement agency and has used some of her knowledge to help her main character, Zephyr Zuckerman, navigate her way through an undercover assignment at a Greenwich Village hotel. 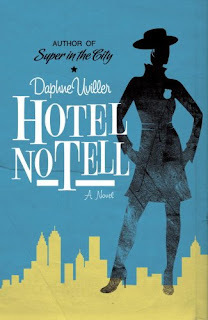 She introduces her readers to Zephyr in "Super in the City" and continues her adventures in "Hotel No-Tell." I have enjoyed getting to know Daphne better and want to thank her for visiting Chick Lit Central. Thanks to Crystal Patriarche from BookSparks PR, we have one copy of "Hotel No-Tell" to give away to a lucky reader in the US. To find out more about Daphne, visit her on Twitter and Facebook. 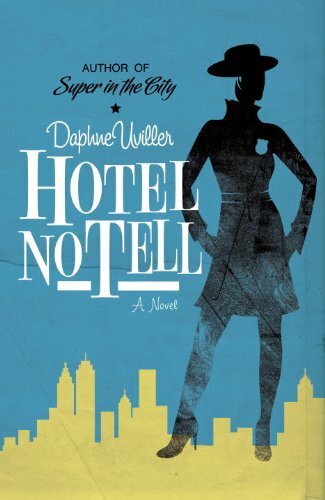 What was the biggest challenge you faced while writing "Hotel No Tell?" The monstrous fear that I had only one novel in me, that I’d never be able to write a second. How do you like to spend your time when you are not writing? Skydiving, deep-sea fishing, and flower-arranging. Oh, I wish I were that interesting! I play with my family, drink coffee with friends, and read voraciously. Some writers enjoy the freedom to write in their pajamas. I need to make the bed, get dressed, and leave the house. I go to cafes while my kids are in school and work as fast as I can before putting the parent hat back atop my overtaxed head. No gallant rising-at-five or post-bedtime writing for me, I’m afraid. I wish I could swing that. If "Super in the City" or "Hotel, No Tell" were made into a movie, who would you like to see play the main character Zephyr? Funny you should ask. Hollywood has come calling, and I have a wonderful manager actively pitching the books, so I’m actually supposed to be thinking about this! My problem is that I’m of the Jennifer Aniston/Julia Roberts generation. Other than Emma Watson, I’m not sure I have a command of the twentysomething talent out there. Suggestions, anyone? As a born and bred New Yorker, what are a few things every visitor should see or do that may not be in the tourist guides? Walk, walk, and walk – and do not waste your time going above 14th street. The free entertainment and the soul of the city is in the characters you bump into on the sidewalks. Serendipity is everywhere. If that’s not a satisfactory answer, check out the Hudson River Park, the High Line, grab dinner at Salam Restaurant in the Village, a drink at The Dove, and if it’s raining, go the Rubin Museum on West 17th. Also, browse Three Lives & Co bookshop on West 10th. I’m constantly writing down ideas for scenes, characters, dialogue, and story lines. I now have a document that’s about a hundred pages long. This means if I’m stuck, I can troll through my notes to spur my imagination. If that fails, going running usually helps. Iceland. A couple of friends have gone and reported that it is as cool and otherworldly as it sounds. An island nation with hot springs and lots of uninhabited areas. I loved Australia for the same reason. Did you base any of your character Zephyr's stories off of real life experiences you had during the three years you spent in law enforcement? I read that you believe in "Paying it Forward". 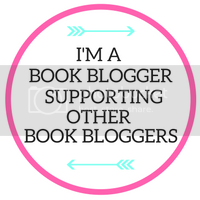 Have you had any opportunities to "Pay it Forward" to other authors? All the time. I regularly shared contacts with assigning editors at magazines when I had those contacts. If someone is truly serious about writing a nonfiction book, I’ll let them look at my proposal for "Only Child" (my first book) and try to find the time to give them feedback on theirs, though that can be tough. I’ve written blurbs and given feedback on query letters. But please, don’t ask me for my agent’s contact info. That’s not polite or professional – I’ll gladly offer if I think you and he are a good match. If you were not a writer, what would you be doing instead? Personal organizer. I love to organize – in fact, it’s my biggest source of procrastination. I tell myself I couldn’t possibly sit down to write until that bill is paid or that closet is organized, and that’s why I leave the house, to avoid temptation. Writing is an extremely messy mental process, and I need to be away from my physical messes, which are much easier to clean up! Special thanks to Daphne for chatting with me today and to Crystal from BookSparks for arranging the interview and providing the book for the giveaway. 1. Please tell us about a time when you paid it forward. US only. Ends August 1st at midnight EST. "The Brightest Star in the Sky" is in paperback and we're doing a HUGE giveaway! We are huge fans of Marian Keyes. 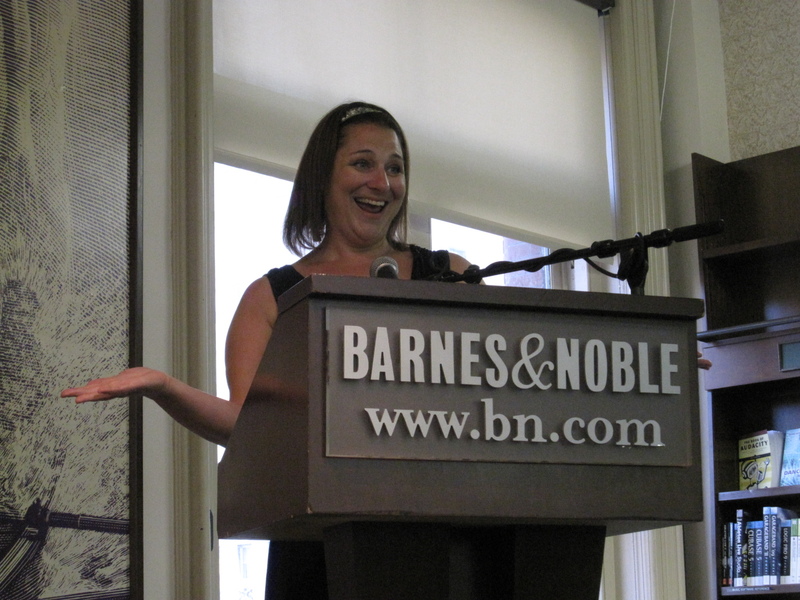 She is the reason we bonded over chick lit in the first place! Therefore, we are excited to share with you that her latest novel "The Brightest Star in the Sky" was released in paperback yesterday and thanks to Louise Braverman of Penguin Books, we have TEN copies to give to some lucky readers in the US! What could the occupants of 66 Star Street have in common that would attract the undivided attention of a sharp-witted and intuitive otherworldly spirit? On the ground floor are newlyweds Maeve and Matt, struggling to overcome a traumatic incident that has threatened their storybook romance, while two flights up lives Katie, a hard-working PR manager for a struggling music label. A refreshing update on Bridget Jones, she’s just turned 40 and, although her social calendar is booked solid and she’s snagged an impressive, wealthy man, she questions her life’s purpose. Meanwhile Lydia, a snarky young cab-driver who lives on the middle floor with two Polish roommates who alternately fear and lust after her, must deal with her mother’s failing health. Jemima, an older psychic, is cohabitating peaceably with her dog Grunge, and seems the most attune to the spirit’s presence. As the spirit narrates, Jemima’s peaceful existence is sent into upheaval with the arrival of her handsome adopted son Fionn, in town to film a gardening show. Fionn promptly commandeers her apartment as a home base for his enthusiastic and determined courtship of every woman he encounters—Maeve and Katie first among them. Though to date, the residents have done little more than say hello in the hall, a series of events soon unfold that challenge the group and ultimately, force them to bond together to lend a neighborly hand. THE BRIGHTEST STAR IN THE SKY is a refreshing, funny, heart-warming drama with a compelling and vast cast of authentically rendered characters that will charm and delight all who meet them. Keyes, whose earthy novels have made her an international phenomenon, delivers another satisfying story that charms with its wit and surprises with its depth. While we haven't yet had the pleasure of chatting directly with Ms. Keyes, Penguin Books did get to interview her and we wanted to share some of what they discussed. Q: You are a mega international bestselling author with over 22 million books in print. How do you feel about your American audience? While the book is set in Ireland, it transcends continents and could be any metropolitan city, from New York, to LA to Atlanta. In what ways do you think readers everywhere can relate to your characters and stories? I love my American audience—they’re so passionate and enthusiastic—and think they really “get’ me. In one way, I think they love the specific “Irishness” of my work; there are so many Americans of Irish descent that I find they enjoy that link to their heritage. In that regard, I think the warmth and humor and sense of family is what they enjoy the most. However, on the other hand, the stories I tell are universal and transcend nationhood. The odd thing was that I used to think that I was unique, that no-one had the feelings and thoughts and emotions that I had. Nevertheless, I took a big risk and invested Claire, the character in my first novel Watermelon, with many of my ‘unique’ features—and discovered that I wasn’t so unique after all. In fact, being so honest struck a huge chord with readers and they found it hugely comforting to discover that they weren’t the only person, for example, to feel jealous when their best friend lost 10 pounds. So, almost by accident, I discovered that human beings are pretty much the same the world over. Q: The Irish are known for their great story telling abilities. Where do you see yourself in this tradition? In one way, I feel part of an age-old tradition that goes back generations—my mother is a hugely gifted storyteller, with an innate sense of narrative arc, how to play out a plot etc. And she came from a remote part of Ireland where storytelling was the only form of entertainment (no electricity meant no TV!) However, in another way, I feel very much part of the new Ireland, particularly an Ireland where women have come of age and finally found their voice, where we feel that our lives matter and are interesting. I feel very lucky to be the age I am and am very grateful to 2 other writers in particular who paved the way—Edna O’Brien and Maeve Binchy. Q: Each character of the book has a distinctly different personality and life, yet they all come together so well. How did you come up with these characters? Are there shades of anyone you know in real life? Q: Though the novel can be lighthearted and funny, you also deal with some difficult issue—depression, alcoholism, and worse. Where does this serious side come from? How do you weave it so well into your story? It definitely comes from me. I’ve suffered from depression and alcoholism (I’ve been in recovery for some time) in my life, yet I’ve always used humor as a survival mechanism, so it’s a natural extension for that personal duality to leak into my work. Also, I always want to write a story with substance, but that can be painful—both to read and to write. So, after a spell of writing about the dark stuff, it becomes automatic to move to the light. Q: You have had an interesting life: you were a lawyer, among other things first. When did you decide to become a writer and why? What is your writing regimen like? I call myself an “accidental novelist.” I didn’t start writing until I was 30 (at the time it felt ancient, now it seems terribly young) —I didn’t even know I wanted to write and it was desperation that triggered the desire. As I mentioned earlier, I’m a recovering alcoholic. At the age of 30 I was in the throes of active alcoholism and had constant thoughts of suicide. I felt entirely hopeless. My life was becoming smaller and smaller and I could see no way out. One afternoon I read a short story in a magazine and it was fun and quirky and a voice inside me said, “I’d like to do that.” There and then I wrote my first short story. In retrospect, I think it was an attempt to hold onto myself, to stop myself from disappearing entirely. 4 months later, I ended up in rehab and when I came out, sober, writing was still waiting for me. At the time I had a full-time job, which I gave up after 3 years. Now I’m a full-time writer and—to my initial disappointment—writing is pretty much Monday to Friday, 9 to 5. Now we want to share with you our top three favorite characters from Ms. Keyes' novels. 1. Lucy Sullivan ("Lucy Sullivan is Getting Married"): She's like a Bridget Jones in some ways and is very fun and lovable, while also being able to admit her weaknesses. I could see myself hanging out with her. 2. Helen Walsh ("Watermelon" and the other Walsh sister novels): She's the only Walsh sister who doesn't have her own novel and I hope that she will get that someday. She's crazy and hilarious and I could see her getting herself into and out of some scrapes were she to be the star of her own novel. 3. Lydia ("The Brightest Star..."). I love how tough she is, but also how her vulnerability shines through. She is the most fascinating character from this novel, even though the rest also have interesting stories. Lydia just stands out from the crowd. 1. Helen Walsh: She is a riot and everything she says or does either offends someone or gets her into trouble! 2. Rachel Walsh: She is so out of touch with reality and I literally laughed the whole way through "Rachel's Holiday". 3. Hands down, Mrs. Walsh (a.k.a. "Mum"). She's hilarious. Everything out of her mouth cracks me up! How to win "The Brightest Star in the Sky": Tell us who your favorite character is from a Marian Keyes novel and why. If you have never read a Marian Keyes novel, then tell us instead which one you'd want to read first. Please include your e-mail address or another way to reach you. US only. No PO Boxes. Ends August 1st at midnight EST. Meredith Delinn’s life has been turned upside down ever since her husband, Freddy, was indicted for cheating investors out of billions of dollars (a la Bernie Madoff). Meredith, cut off from her sons and ousted from her social circle, heads to Nantucket to seek solace at her oldest friend Constance Flute’s home. Once there, the ladies do their best to hide from the press as well as some angry investors that also spend their summer on Nantucket. Both Meredith and Constance are alone again, after years of marriage, but they do the best they can to be a shoulder for one another. Though the women were recently estranged, over the course of the summer they realize that sometimes true friendship can outlast hurt, heartbreak, and betrayal. I think that this may be my favorite Elin Hilderbrand novel so far. Elin does a great job of making her characters life-like and relatable. There were points in the book that I felt panicked, angry or sad and I love when an author makes me feel the same emotions as the characters. I felt the pain, hurt and confusion that the characters felt as well as their resolve to move forward. The story never slowed down for me and the description was so vivid that I felt I was on the Island of Nantucket even after I had finished reading the book. I didn’t want this book to end, yet I was dying to know how it would. I was so torn because I couldn’t put it down, yet I wanted to savor every word. 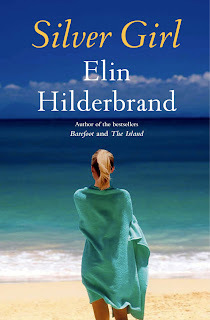 I know many readers have not yet read any of Elin’s books because they are touted as “Summer Fluff” or simply as “Beach Reads”, but I really believe that you will not be disappointed. In fact, many of her books have a more serious undertone and deal with real life issues such as marriage, parenthood, infidelity and loss. Her story line, character development and crystal clear descriptions make for a great read ANY time of year! I definitely recommend “Silver Girl” to anyone looking to be swept away. If you would like to know more about Elin, please see my recent interview. Special thanks to Sarah Hausman of Meryl L. Moss Media Relations/Book Trib for the review copy. 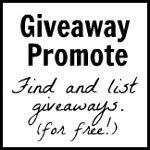 Thanks to Chick Lit Central for hosting this giveaway. Melissa A & P- you rock! And a special thanks to all the readers who took the time to leave a comment. Thanks for your interest and thank you for willing to take a chance on my little book; I am eternally grateful. Shannon, Heather, Tiffany Drew, Gayle, Margaret, Michele, Cindy and Susan Audrey! Thanks to everyone who participated and to Lisa for a fun and humorous interview and for providing the books for the giveaway! More exciting giveaways coming this week! Stay tuned! 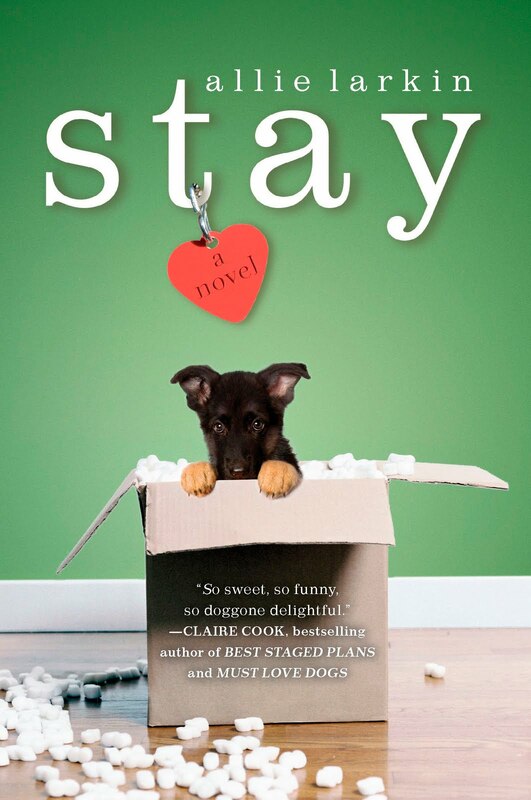 In honor of "Stay" by Allie Larkin being released in paperback, we are reposting Melissa A's review from last fall and hosting a giveaway (thanks to Crystal Patriarche from BookSparks PR). 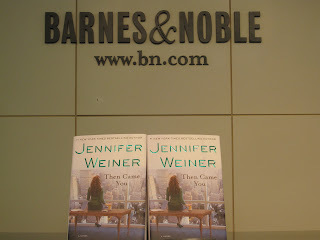 She has one book for a lucky reader in the US. "Stay" is Book #5 in the BookSparksPR Summer Reading Challenge. Stop by to see a funny video from Allie Larkin and even learn more about the challenge itself. I had been wanting to read "Stay" for a while, as Allie Larkin was the first author I interviewed for Chick Lit Central. I finally obtained a copy of it this past month and once I picked it up, I did not want to put it down! "Stay" is about Savannah "Van" Leone, who gets drunk one night after the guy she is in love with gets married to her best friend. While she is drunk, she watches "Rin Tin Tin" and ends up ordering a German Shepard puppy over the Internet. When the puppy arrives, he is the size of a grown dog and only answers to Slovakian commands. However, he leads her to a handsome vet and her life then becomes another series of complications, especially when the married couple returns from their honeymoon. I absolutely loved this novel from start to finish. Even when I wasn't reading it, I was still thinking of Van and everything that was going on in her life. Now that I'm finished, I can't stop thinking about this story. It even made me want to adopt a dog (not that I will get to anytime soon, but maybe I can convince my husband to read this novel...) The only critique I had was that I felt there was too much swearing going on. It may have emphasized Van's emotional state from time to time, but I also didn't feel that it was necessary in order to carry along a wonderful story. If this were a movie, it would have received an adult rating for the language alone, even though the concept was family-friendly (at least for age pre-teen and above). As I was reading "Stay," I was already recommending it to friends before I even finished the story. I definitely want to recommend it to anyone who wants a heartfelt story with genuine dialogue and a sympathetic and lovable main character (and I'm not just talking about the dog here). For a first novel, Ms. Larkin did an amazing job. I hope she continues to write stories as great as this one! Please include your e-mail address or another way we can contact you. To find the winner, we assigned a number to each entry and then had random.org choose three numbers for us. 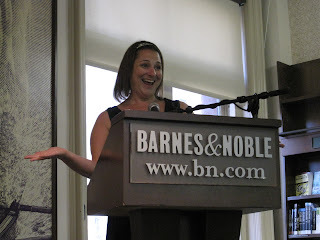 I'd like to thank Melissa and "Chick Lit Central: The Blog!" for the fantastic opportunity to talk about "Take It Like a Mom." And thank you so much to the readers and fans of this blog who took the time to read my interview and provide comments. I wish you all the best in your summer reading -- and I hope you like my book! Please keep in touch, and visit me at stephaniestiles.com! Thank you so much! Thanks to everyone who participated, to Stephanie for a lovely (and hilarious interview) and to Erin Galloway from Penguin Group for providing the books for the giveaway! Melissa A. first discovered Caprice Crane at Target. She was in the home goods section. Seriously though, she saw "Forget About It" in the book section and knew she just had to read it. She liked it so much that she read her other books, as well. 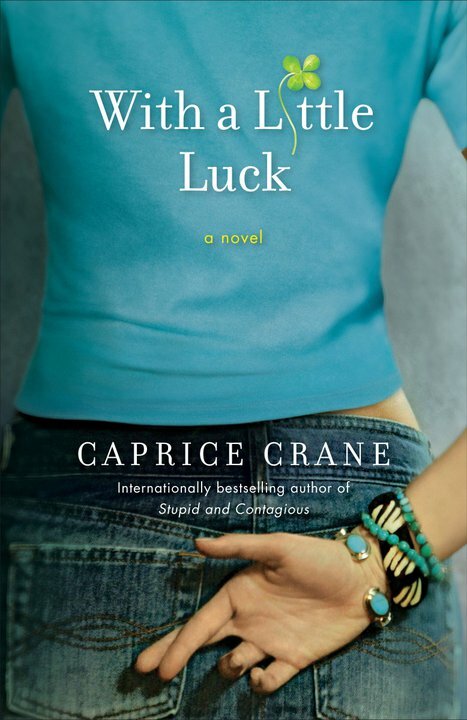 And then she told Melissa P. to read Caprice's books, and as "luck" would have it, she liked them too! Caprice was born in Hollywood and still lives there now. After college, she wrote and produced shows for MTV. Then she decided to write for the big screen, as well as for bookaholics all over the world. She also has written for "90210" (the new series, a.k.a. Melissa A's guilty pleasure) and "Melrose Place," as well as an original screenplay. All in all, Caprice is talented, hilarious and really nice. If you want to get to know her better, visit her on Facebook and Twitter. 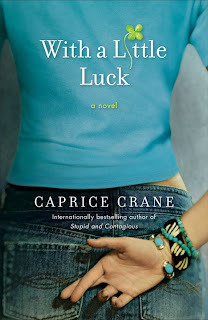 MP: What was the biggest challenge you faced while writing "With a Little Luck?" CC: Having my female protagonist decide between the vampire and the werewolf. Oh wait... that wasn't me at all. I really need to take my meds. CC: I like to do flash mobs. But not at malls and not with groups. I'll go to a restaurant and find a couple that seem to be having a nice date. Then I'll pull up a chair and start singing that Sarah McLaughlin song while showing them photos of abused animals on my iPhone. Listen, I'm not gonna be miserable alone. CC: Have you seen Rocky? It's like that but instead of of chasing live chickens, I chase General Tso's Chicken and instead of drinking raw eggs, I drink Four-Loco. I do wear the stars and stripes boxing trunks though. I'm a slave to fashion and they make my calves pop. CC: Have you seen Rambo...? Just kidding. What's "writer's block?" Wait...is that Zooey Deschanel's husband's new band? MA: If you could have any of your books made into a movie, which would you choose and who would you cast in the lead roles? MA: When you were writing for "90210" and "Melrose Place," did you get to meet the cast? If so, who was your favorite actor or actress to meet (from either show)? CC: Yes, I knew all of the actors and actresses on both shows. As a writer you generally have to be on set during the shooting of your particular episodes so you have no choice but to meet the actors. My favorite? I can't pick favorites. I'll say it was really fun getting to write for Jessica Walter. I was such a fan of hers already so that was fun. Otherwise, both casts were great. I'm still good friends with some of them. Ryan Eggold and I are probably the closest. MA: Who is your celebrity doppelganger? MP: Since you were born in Hollywood and still live in that area, what are a few things every visitor should see or do that may not be in the tourist guides? CC: Starbucks. Get a Caramel Macchiato! Actually, I think they're expanding so maybe that's not the best suggestion. Maybe the "Hollywood" sign. Sure, it's in tour guides but what they don't tell you is that it is made entirely out of tofu. True story. MA: You always write funny quotes and thoughts on your Facebook page. Can you share a funny thought that is exclusive to our readers? CC: I'm not wearing pants. MA: What do you feel lucky about in your life? Special thanks to Caprice for visiting with us, making us laugh and sharing her book with one of you! 1. Please tell us: What do you feel lucky about in your life? US/Canada only. Ends July 31st at midnight EST. I won this from The Next Best Book Club. I'm reading it now and it's interesting so far. Very well written too! I got this one the day after my birthday. How appropriate! Elizabeth Swain from Transworld Publishers sent it to me and will be giving away copies later this summer through our blog. Stay tuned! It's on sale at Amazon for $2.99. Amy Bromberg got to attend Jennifer Weiner's book signing in NYC on July 12th. She's here to tell us all about her experience. If you want to see what went on for yourself, check out the video of the live feed from that evening. Originally I had a scheduling conflict that was not going allow me to attend the signing. However, due to a last minute rescheduling I ended up being able to go. While I was getting ready to leave, I was looking for something in my night table drawer and low and behold what do I find? A $10 Barnes and Nobles gift certificate from two years ago! I ended up paying $13 and change for the book, as it was also marked down a bit from the list price. About a dollar less than the eBook! I cannot even begin to tell you how excited I was! I got to Barnes and Noble in Union Square at 3:30 pm, with plenty of time to spare before 5:00 (in order to get good seats, I was advised to show up two hours early). I HAD to get a front row seat. I ended up browsing around Sephora, right next door to Barnes and Noble, to check out the latest beauty products to share and promote on my beauty blog. I was SO excited when Jennifer came out. 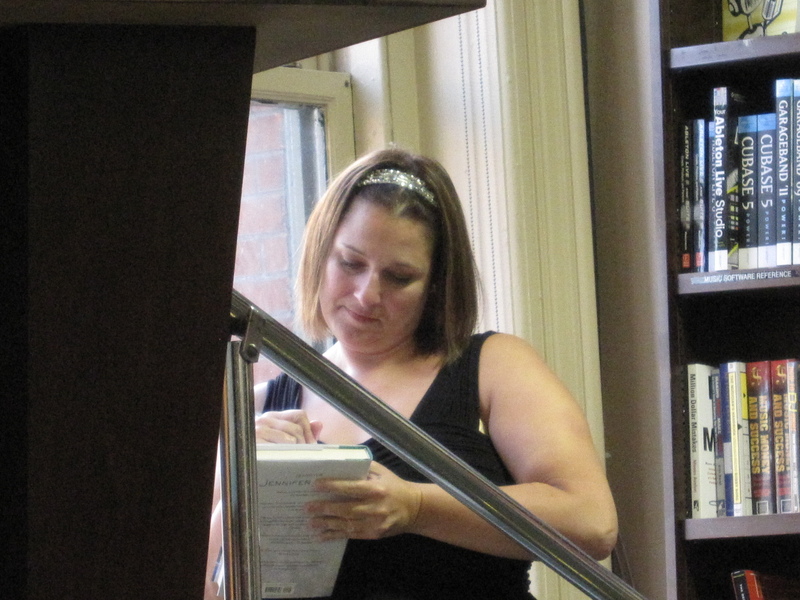 Here’s a picture of her taking last minute notes just a few seconds before she was introduced. This was my second time meeting Jennifer. The previous time was at a panel, where Jennifer and Candace Bushnell talked to each other, about all different topics. At the end of the panel, in another room, everyone lined up to get their books signed. I felt bad for Candace because the majority of people were going up to Jennifer. This was shortly after "Best Friends Forever" was released. She shared with us her time in LA working on all that goes into putting together a TV show. In October, Jennifer was in Paris when she received a call from the heads of the ABC Family network, asking if she would like to come out to LA to shoot a TV series. Of course she said yes. She wrote a script called “The Great State of Georgia” a few years back. As we all know, this show became a reality where Jennifer is the co-creator and executive producer. The first thing that had to be done, upon arriving in LA, was to get a car. In Philadelphia, where she lives, she has a 2005 Honda Odyssey minivan. She really does not care about what kind of car she drives because she barely drives it. Hence when her co-producer, Kirk took her to his car dealer, Marty Weiner (spelled the same) Jennifer picked out a simple Cadillac station wagon. This was not good enough because in LA cars matter a lot, because you are always in them. She ended up getting a Lexus SUV, which the car dealer, said this is what all the actresses drive, with sort of pretensions of environmentalism drive, you can act like you care, and there’s room for stuff . Jennifer talked about how casting works, and how all of the ladies who came to audition for the role of Aunt Honey, were 80s sitcom heroines, including Stephanie Powers, Francis Fisher, Jacque and Loni Anderson. She was star struck and was like “Oh my G-d, that’s Suzanne Somers”, and Kirk said "Please stop screaming, you’re just going to upset them." Then there’s the hiring of the people that go into putting a show together. When it came to hiring the writers, Jennifer was advised by her sister-in-law, who knows about the television industry, to not hire "yourself." (Meaning, someone who thinks the same way she does.) She has also learned a lot from the book “Bossypants” by Tina Fey. I was the first person to ask a question during the Q and A session. I asked "Do you see any of your other books becoming movies?" Jennifer said there are two problems with this. First, concerning Hollywood, her books are not exactly comedies, and not exactly dramas...they are “cromedies”. And the other problem is the plus size aspect. They would have to staple a couple of Olsen twins together. Jennifer is trying to get a meeting with Melissa McCarthy from "Bridesmaids." 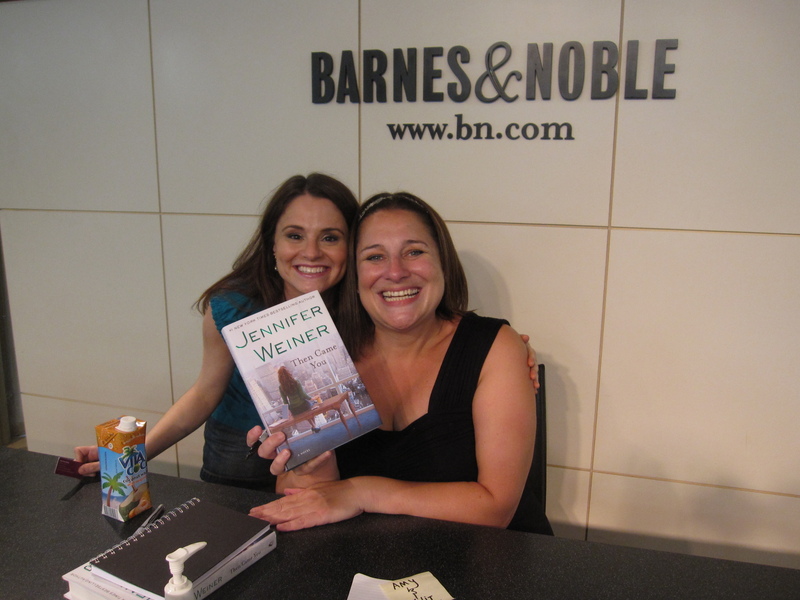 I also want to share a picture of Jennifer and me, as well as of the message she wrote in my book, which I had her dedicate to everyone at CLC! To end things I would like to say I had an awesome time, but there were no cupcakes this year (like she had last year)....instead there were whoopie pies! 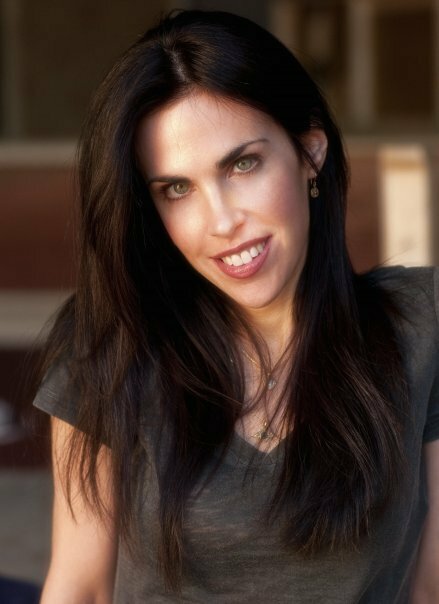 Amy Bromberg grew up in Rockaway, NJ and graduated from Montclair State University in events/meeting planning and the hospitality industry. She has been married to the love of her life since Labor day 2005, thanks to the wonders of JDate (which Jennifer Weiner fans in Minneapolis have never heard of). Her passions are beauty and skincare, chick lit, and listening to all kinds of music (except for rap). She's a huge dog lover and enjoys spending time with friends and family. Amy recently started a beauty blog, The Beauty Call, which she would love for everyone to check out. You can follow her on Twitter. To find our winners, we sent all the entries (without identifying information) to Ann-Marie Nieves (Get Red PR) and she chose the two she liked best. Congrats to shanaelyse and Dolly! Thanks to everyone who participated. Your entries were very creative! We hope you will read "Twang" to see what actually happens next and if you predicted correctly or not. Thanks to Ann-Marie for providing the prizes for the giveaway and letting us host this fun contest! Raising a toddler is not an easy job and sometimes mothers don't get the credit they deserve. However, have no fear, Stephanie Stiles is here to show us how to handle motherhood and keep our sanity at the same time, thanks to her debut novel, "Take it Like a Mom." Keep in mind that this is not a self-help book, although it may look and sound like one from the cover and title. 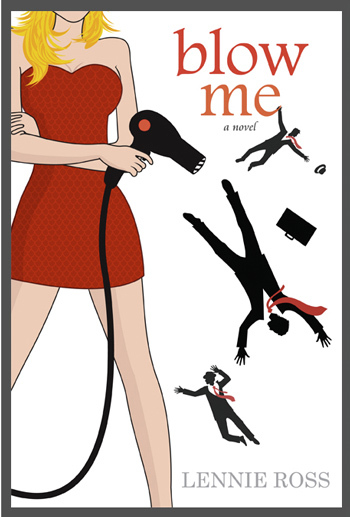 Instead, it is a humorous fictional account of all the things that tend to drive moms a little crazy at times. Annie Fingardt Forster is a lawyer who has become a stay-at-home mom raising a three year-old son and expecting another baby. She navigates the choppy waters of preschool politics, judgmental parents (including her own mother) and emotional cable guys while also dealing with her husband's sudden job loss. She is left to figure out what she wants for herself and her expanding family (along with her expanding waistline). I could definitely relate to Annie in many ways, first and foremost being a mother, of course. She and I have similar personalities as well as similar ways of handling the situations thrown at us. We also both like to take care of other people aside from our kids (spouses, friends, acquaintances, etc.). Annie handles every situation thrown her way with grace and good-natured humor. She has a good heart that goes a long way to help this story stay upbeat and entertaining, even when life is kicking her in the (large maternity sized) pants. Not only did I enjoy reading about her, but also about the supporting characters. Ms. Stiles made the "villains" into caricatures that were so detestable that I couldn't help but dislike them along with Annie. She made everyone else fun and interesting enough for me to want to get to know them better. I found myself laughing out loud throughout the story, as well. Ms. Stiles' humor is reflected through Annie and all the other characters she has created. I also loved the pop culture references and any novel with even a handful of those gets brownie points from me. On the topic of humor, however, she tends to throw in a lot of misunderstandings during conversations between Annie and other characters. These are the kind that remind me of a cross between an Abbott and Costello routine (such as "Who's on first?") and the scene in "The Lion King" where Timon and Pumbaa get all confused over Simba's uncle ("The monkey is his uncle?!?") These misunderstandings were cute and funny the first few times. Then they started to get old and made me wish she had some other shtick to use. Along with that, Annie tended to come off as ditzy at times when we knew that she was intelligent and resourceful at other times. Maybe it was pregnancy brain, but she never really excused it as that either. She would try to convince herself that she was right about something and then second guess herself after the convincing part was done. Aside from these issues, I wish there had been a real conflict that wasn't resolved within one or two chapters. With her husband's job loss and everything else going on, I was hoping that there would be more leverage with which to create a conflict that would take a while to resolve before reaching the conclusion. It seemed like a lot of situations were just stressful moments that could be easily resolved within a sitcom's amount of time. Overall, "Take it Like a Mom" was a hilarious and entertaining look at motherhood and all the other minutae surrounding it. I like how Annie was able to show that she did as much as a mom as (if not more than) some people do at their office jobs on a daily basis. It's validating for all moms to read, whether they work or stay-at-home and I found myself cheering for her (and also laughing or crying with her) throughout the entire story. Ms. Stiles gives us a nice balance between the daily mundane routines and the little things that stop us in our tracks. "Take it Like a Mom" is a "feel good" novel and a light beach read that is perfect for these long, hot summer days (and also something you can cozy up to in the winter). While the topic is geared toward moms, I feel that any woman could read and enjoy it. Thanks to Elizabeth Tobin, formerly of Penguin Books, for the review copy in exchange for an honest review. 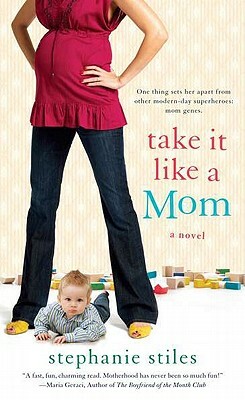 Penguin Books is giving away three copies of "Take it Like a Mom" to some lucky readers in the US and Canada. 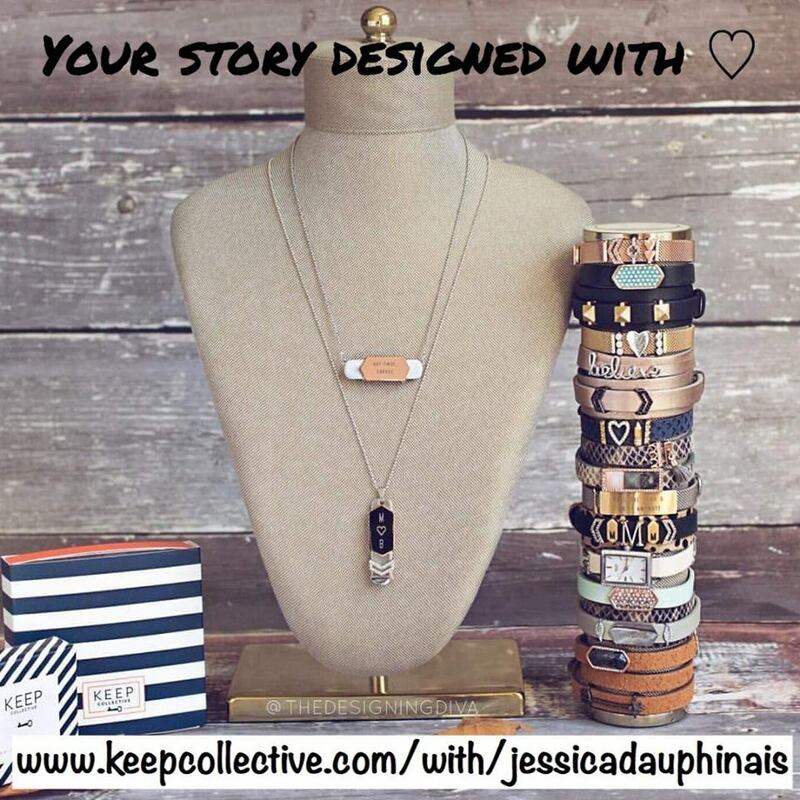 Check out Stephanie's interview with CLC and enter for your chance to win! Lisa Lim has been working in call centers for over ten years, which has inspired her debut novel "Confessions of a Call Center Gal" (reviewed here). She loves dogs (and has three of them), shopping and reading chick lit (naturally). She's also the mommy of two little girls. The picture she gave us is only half her face because she's camera shy. That may be why hiding behind a phone (or the Internet) is a good thing for her. Lisa has come to talk to us today about her book and share some other fun facts about herself. She also has eight (since it's her lucky number...it represents prosperity) e-books to give away to some lucky readers anywhere in the world. 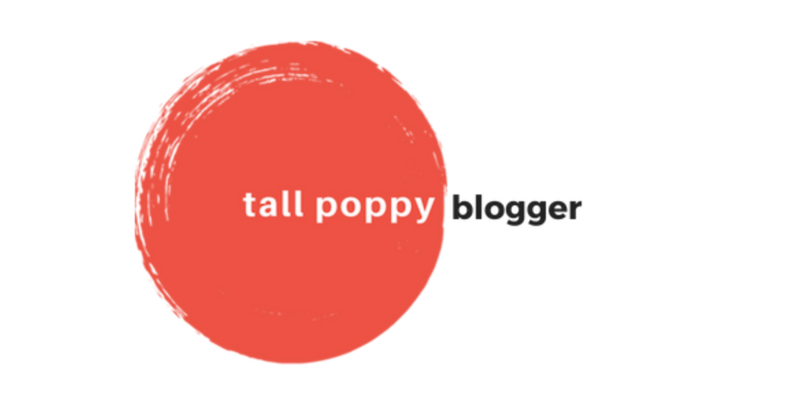 If you like what you've read today, find her on Facebook and check out her blog! MP: What inspired you to write Confessions of a Call Center Gal? LL: I’m a chick lit junkie and I've read countless of chick lit novels. The women usually have fancy jobs, and they fancy men who hold fancy jobs. And I wanted to read about a woman I could relate to. A protagonist who is regular chick with a very ordinary job, who falls for a guy with an ordinary job. Although, the guy is anything but ordinary (I like to think). And I know this sounds cliched, but my English teacher in college prefaced every writing assignment with this advice – “Write what you know.” And I know too much about call centers. One only need to hear the word "call center" and everyone’s blood pressure skyrockets through the roofs. Callers go ballistic and become verbally abusive over the phone, and often feel entitled to unload their personal demons on us. I've seen many of my co-workers on the verge of tears . . . and I wanted to tell our story. MP: What do you do in your spare time when you're not writing? LL: I have three pooches that I adore to bits. They're shelter dogs and my motto is "Don't shop! Adopt!" By the way, I want to marry a bean burrito. And he will have Mexican Monterey cheese hair. MP: What’s your typical celebration ritual when you sell a new book or get exciting news about an existing one? Anything strange or quirky we should know about? LL: Um, did I mention I love bean burritos? I blast the Mariachi music and gobble up bean burritos. MA: If you could choose one dessert or snack food that you could eat as much as you want of (and never gain an ounce!) what would it be? LL: Bwarhahahaha. I think you already know the answer to that one. MA: What was your favorite book growing up and why? MA: If your book were to be turned into a movie, who would your dream cast be? LL: Ohhh this is fab fun. The lead protagonist Maddy would be played by Zooey Deschanel (500 Days of Summer) and Zac Efron, Zac Levi or Henry Cavill would be cast as Mika—the Belgian stud. Rex Lee or Jo Koy as Truong Nguyen. And definitely Sean Connery as Archie. MP: What do you hope your readers come away with after reading your book? Special thanks to Lisa Lim for chatting with us today and for providing the e-books for the giveaway! 1. Please tell us: Have you had a crush on or dated a co-worker? 2. Please tell us: If you could eat one kind of food and never gain weight from it, what would you choose? Giveaway ends July 25th at midnight EST. To find the winner, we assigned a number to each entry and then had Gretchen Rubin make the choice for us. She chose 85. Thanks, everyone, for your interest and enthusiasm! Happy reading! 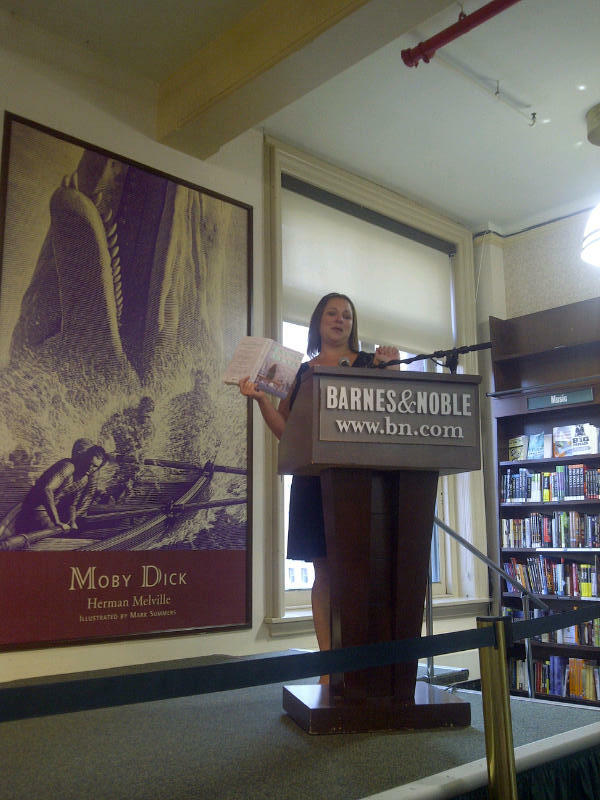 And a special thanks to the Melissas at Chick Lit Central for setting this up. Thanks to everyone who participated, to Gretchen for making us so happy with her lovely answers to our questions and to Joseph from Harper Collins for making our winner so happy by providing a book for the giveaway. Stay tuned for two more giveaways this week (both international) and many more coming soon! Even though Oprah is no longer doing her show, we wanted to reflect upon her book club, where she would pick a book and encourage everyone to read it. Usually these books were of a more serious or meaningful nature. 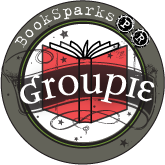 In honor of her book club, we decided to talk about five books we like that we could have seen her choose and three chick lit novels that are also "book club worthy." "To Have Not" by Frances Lefkowitz: I thought this was a very entertaining, but real story about a woman forced to grow up too soon, and to learn to care for herself at a very young age. Frances tells her story with humor and honesty. "The Guernsey Literary and Potato Peel Pie Society" by Mary Ann Shaffer and Annie Barrows: This was a really easy read for me. I loved that it was written using letters back and forth to one another. The story takes place during the war, but it still leaves you feeling good after you finish it. "The Senator's Wife" by Sue Miller: This book was interesting because I didn't LOVE it, but I was so intrigued by it. I thought the story was a bit too unrealistic at times, but it was a good book nonetheless. "Scarlet Feather" by Maeve Binchy: I love Maeve Binchy. I like that her female characters are always funny and they always learn something about themselves and grow. "She's Come Undone" by Wally Lamb: This book actually was also chosen by Oprah, back in 1997. And for a good reason. It's an amazing novel that has stuck with me ever since I read it in 1998. It was so beautifully told from a woman's perspective that I kept forgetting it was written by a man! It's one of my all-time favorite novels! "A Thousand Splendid Suns" by Khaled Hosseini: I also forgot this book was written by a man, as the voices of the two women were so poignant and realistic. This story kept flowing and was impossible to put down. The subject matter was heavy, but it put things into perspective, as well. "Memoirs of a Geisha" by Arthur Golden: Another book written about a woman so realistically by a man that I had to keep checking the cover to see who wrote it. I loved this story and got so lost in the world of Sayuri that I would forget to come up for air while reading it. There was a movie made and it was done pretty well, but still not as amazing as the book itself. "Eat, Pray, Love" by Elizabeth Gilbert: Ms. Gilbert took me into places I have never been with her descriptions of the locations she visited and the people she met. I couldn’t stop thinking about it after I was done and even had a dream about it! I did not like the movie even half as much as the book though. "Sarah’s Key" by Tatiana de Rosnay: I am usually hesitant to read novels about the Holocaust and this one is not pretty. However, it makes the horrors feel so accessible that it would be impossible for anyone to deny that the Holocaust really happened. It was both haunting and gripping and the parts that took place in the present day had some chick lit elements too. Now that you've seen our choices, please share with us which books you think are worthy of Oprah's book club.